The Fluvanna County real estate market has developed tremendously in recent years. Today, Fluvanna County is considered fourth among the fastest-growing communities in the Commonwealth of Virginia. Despite the expansive trend, this segment of the central Virginia real estate market is still highly regarded for its rural beauty and sense of community. 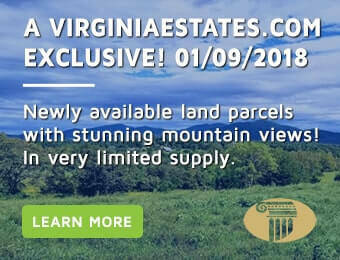 Virginia Estates – “Virginia’s Finest Real Estate” – offers home buyers a comprehensive array of services, including access to Fluvanna County MLS properties and localized expertise on the Fluvanna County real estate market. Situated in the piedmont region between Charlottesville (20 miles to the west) and Richmond (60 miles to the east), Fluvanna County offers prospective buyers a vast inventory of homes and properties for sale in central Virginia. If you are thinking rural, Fluvanna is well known for its beautiful farms, lands and charming country homes. Or, if you are looking for a gated community near the water, Lake Monticello may have everything you need. Aside from boating and swimming, many people searching for Lake Monticello real estate are drawn to the 3,500-acre lake community’s 18-hole Championship Golf Course. In addition, access to the lake is restricted, with routine access limited to property owners, tenants, and their exclusive guests. Pleasant Grove is a 969-acre property full of hiking trails owned and operated by Fluvanna County and its citizens. Trails at Pleasant Grove provide a unique hiking and walking experience The Heritage Trail at Pleasant Grove was collaboratively developed by the Fluvanna County Department of Parks and Recreation and the Virginia Department of Transportation. The origins of the word “Fluvanna” date back to English royalty. Fluvanna literally means “Annie’s River” and was named after Queen Anne and for the section of the James River that runs west of Columbia. Fluvanna officially became a county in 1777 after having been part of Henrico County, Goochland County, and Albemarle County. Later, Columbia was established in 1788, followed by Bernardsburg and Wilmington. Palmyra became the Fluvanna county seat in 1828 and thrived after the new courthouse was completed in 1830. General John Hartwall Cocke served on the committee that drafted plans for the building, and Walker Timberlake, a Methodist preacher, supervised construction of the “Greek Revival” courthouse. The Rivanna Navigation Company was organized in 1805 to improve the Rivanna River. Subsequently, locks and dams were built from Columbia to Milton, just five miles below Charlottesville. In addition, two canals, the James River Canal and Kanawaha Canal, were built along the James River in southern Fluvanna. The canals brought great affluence to Fluvanna until the railroad was built in 1881. During the American Revolution, Fluvanna was defended by six militia companies when British soldiers invaded the county and destroyed Point of Fork Arsenal. Although battles were not waged in Fluvanna during the Civil War, Union soldiers burned mills, destroyed bridges, and damaged the James River Canal.